Amsterdam is not only the capital of Netherlands, but also one of the major shoppers’ destination offering great opportunities for shopping and cost-effective seasonal sales. Unlike Milan, Barcelona and other European capitals, Amsterdam is not the city which is visited by shoppers purposefully. Nevertheless, the capital of the Netherlands has much to surprise with and please in terms of shopping. So, if you have at least one day to shop in Amsterdam, don’t miss to check out the following spots. De Bijenkorf shopping center is situated right on the main square of Amsterdam. You will immediately notice the magnificent building and the crowds of happy shoppers around. You can find there everything you need: perfumes, cosmetics, household goods, sportswear, and of course, fashionable clothing. De Bijenkorf offers not only luxury brands (Missoni, Marc Jacobs, Diane von Furstenberg …), but lots of affordable brands – Guess, Benetton, Diesel, Tommy Hilfiger and much more. There’s also an official Apple store. Generally, the prices in shops of De Bijenkorf are very attractive, excepting for such luxurious brands as Gucci, Hermes and Chanel. Kalverstraat is undoubtedly the most famous shopping street in Amsterdam, and it’s very popular among those who like to buy stylish clothing for cheap. You will find there lots of ‘mass market’ brands – H&M, River Island, Jack&Jones, Esprit, Vero Moda, Zara, America Today, C&A, Ecco, Diesel, Levi’s and hundreds of others. 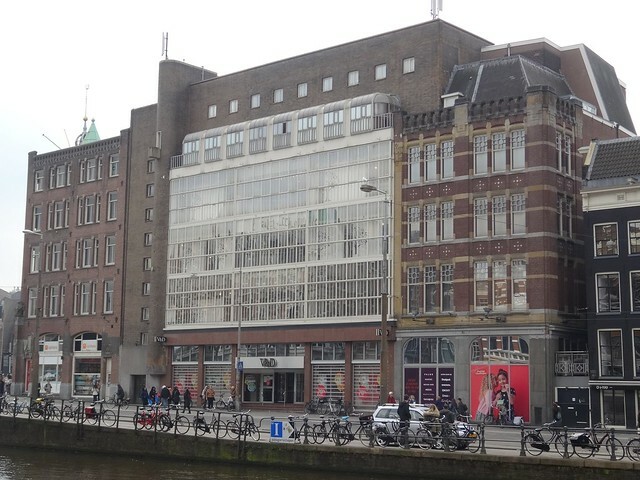 According to one of the Netherlands’ guides, in 2015 there were 49 women’s boutiques, 43 men’s clothing shops, 43 footwear stores and 9 children’s stores on Kalverstraat. So, Kalverstraat is an excellent spot both to renew your wardrobe and purchase some gifts. It’s situated near Amsterdam’s central square and consists of nine small streets dotted with numerous markets, boutiques and trendy fashion rooms. Firstly, it’s recommended to visit Dona Fiera, Goods and Van Ravenstein shops. Those who like vintage and second-hand clothing should definitely look in Lady Day, Laura Dolls and Zipper boutiques. Razzmatazz store is also a very popular spot. It offers clothes from the iconic Dutch designers: Walter van Beyrendonk, Vivienne Westwood, and Dexter Wong). The works of Scandinavian and local designers are presented in the Stock Barel and Analik. 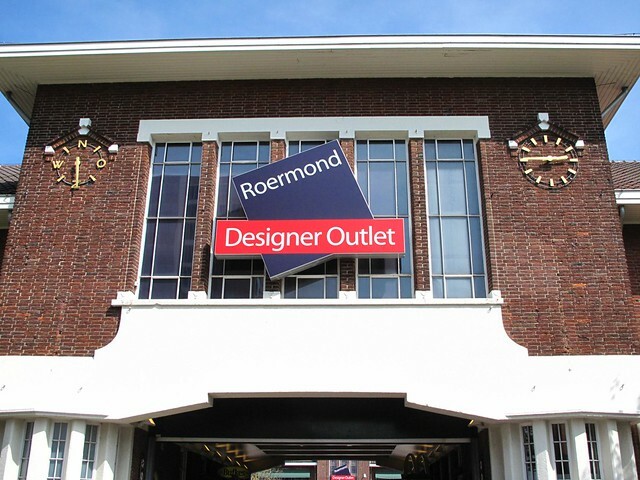 If you’re looking for the biggest sales in Amsterdam, then visit the Designer Outlet Roermond located 100 km away from the city. It’s very popular among the residents of the Netherlands and Germany. You can enjoy there an endless number of brands offering the most interesting and original models that impress with their lightness and sense of style. Another interesting fact is that the discount of 35% applies to all the goods of the outlet. But during the seasonal sales, it reaches up to fantastic 80%. In this outlet you’ll be able to buy clothing both of premium (Hugo Boss, Armani, Calvin Clein, Ralph Lauren, Max Mara, Marco Polo) and budget brands (H&M, Diesel, Benetton, Miss Sixty…). Located in Amsterdam’s museum district, PC Hooftstraat Street is a shopping destination which presents mainly premium brands. Numerous boutiques of PC Hooftstraat offer such brands as Tiffany and Jimmy Choo, Chanel and Louis Vuitton, Trussardi and Escada, Burberry and Salvatore Ferragamo, Hermes and Prada as well as many other luxurious brands. V&D is a huge department store and a perfect spot to shop if your shopping plans include not only clothes, shoes and souvenirs, but also household and sporting goods, and different home accessories. However, speaking about clothing boutiques, you’ll find there such brands as Mango, Chloe and Lacoste. There’s also an extensive selection of sportswear brands – Nike, Puma, Reebok and Fila. As you can see, Amsterdam is a really worthy destination for shoppers. So, don’t miss an opportunity to enjoy it by visiting the above-mentioned shopping spots. Want to find them quickly? Then use a rental car with optional GPS device.